Is this the same version of Radium as on KLANG 08? Customer Support from deejay.de gave me the info, that there is a repress in the pipeline. Repress will definitely come but they don't know when yet. Wishing for a repress of this record. Overcomplete in particular! still some copies at Kompakt..
O repress, where art thou? Great record. 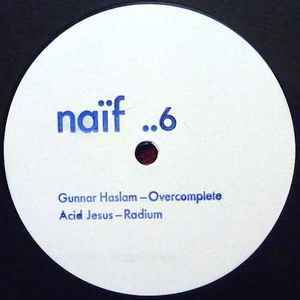 The Acid Jesus track is solid, but Gunnar's is simply amazing. Hard to pull this one out and not just play "Overcomplete" every single time. Bicep has had this one on blast and I've heard it played several other times in 2014 and 2015. Everytime it's played at a party it's a highlight of the night for me. A2 is interesting; cool to listen to, would love to use it in a mix or set sometime.